Welcome to the best wireless routers for 2018 – April edition. Thankfully, new wireless technologies (N, AC, etc) come at a slower pace than new devices themselves, so as long as your router uses the latest technology and has 5 star reviews, you’re probably good to go. Oh, and routers finally look cool! 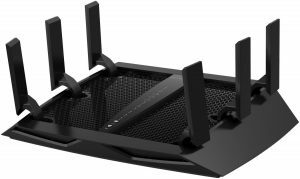 If you are looking for a kickass wireless router that won’t cost you an arm and a leg, this NETGEAR Nighthawk AC1900 has the quality you expect, with a friendly price around $175. Like all new friends, once you get to know it, you will appreciate the value it brings. This next gen Gigabit WiFi router comes packed with a 1GHz dual-core processor and speeds up to 1900 Mbps, placing it firmly on our best wireless routers list. Which means you can enjoy gaming and streaming with less lag and buffering. Designed to manage all of your high-bandwidth online streaming the Nighthawk AC1900 is perfect for gaming and streaming apps like Netflix and Hulu. Its high-performance antennas and Beamforming+ will give you super high speeds in every room in your house. It’s a bit bulky and heavy so you will need to give it some space. But what it lacks in physical appearance it more than makes up with performance. It has mad skills when it comes to speed; it’s so fast you may forget what lag even is. It also comes with Cloud storage, just plug your USB hard drive into the NETGEAR Nighthawk and enjoy free unlimited storage. Not all routers are created equal, some of them are smarter than others, and the Asus RT-AC3200 is one smart cookie. Its Smart Connect features are designed to select the fastest bands for all devices based on their data usage and requirements. This Tri-Band router also sports the latest 802.11ac 3X3 technology, this allows for maximum throughput and a wide range of coverage. The RT-AC3200 will maximize the performance of all of the wireless devices in your home. You can stream movies in one room while someone else is playing games in another room with no lag. By using two 802.11 networks that each have a three transmit with the 3X3 antenna set up, you get faster speeds and better connectivity. While there are a lot of positive attributes to the RT-AC3200, there are a few awkward things as well, the first being that it only has four LAN ports, which is a bit low for a router with this much muscle. The other issue is price, at $200 it can be expensive if you are just looking for a router to stream Netflix. But for serious gamers or active homes with lots of users, this wireless router is worth every penny. If you are in the market for a nice, friendly household wireless router, the Amped Wireless RTA2600 Athena is a solid choice. It comes packed with a 1.4GHz Qualcomm Dual Core Processor and with 16 high power amplifiers and four antennas it can deliver the speed and consistency your home network needs. It also employs MU-MIMO technology which will let you stream data to several devices at the same time. This means you can catch up on old episodes of Gilmore Girls while your kids are playing Madden in another room with no lag or latency. The router provides four Gigabit LAN ports and is surprisingly compact, which means you may find the LAN and WAN ports a bit crowded. However, its compact design means you won’t have to worry about finding space for it. Easy to set up it comes with a network cable already plugged into the WAN port. Plug it in and connect it to your Internet source and you are good to go. With an average price around $200 the RTA2600 is a solid router. But it is a bit pricey when compared to other routers in this price range. While the MU-MIMO technology is great at managing data distribution, if the connected device doesn’t support MU-MIMO it is pretty much rendered useless. Currently, there aren’t many devices that support the technology, if you own MU-MIMO friendly devices, it might be worth the price. 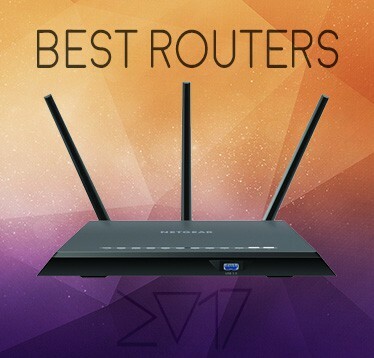 If you don’t, you can find less expensive routers that will deliver better results. If you don’t currently have 802.11ad, or you don’t know what it is, the TP-Link Talon AD7200 wireless router may not be for you. But if you are aware of the new Wi-Fi standard that is designed to operate on a 60GHz frequency band (yep…60Ghz). 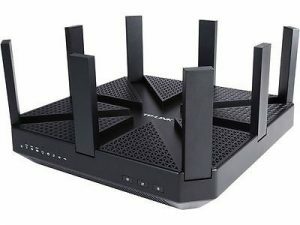 And you have been waiting for routers to catch up to your 802.11ad connection, then you should consider the Talon a more than viable option. To say that 802.11ad routers can provide faster speeds is an understatement. 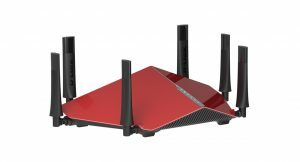 The Talon AD7200 can reach speeds of up to 4.6Gbps, which is wicked fast, and not even close to peak 802.11ad speeds. While it more than delivers on speed, it’s not great at when it comes to range. So, can it do things in the blink of an eye? Sure. 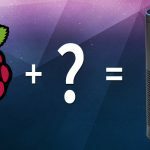 Can it provide superfast speeds over long distances? Not really. 802.11ad lacks the ability to penetrate through walls. For the most part it works better as a behind the scenes backhaul technology, but that could change. 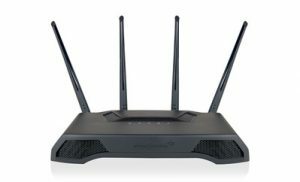 If you aren’t concerned about how far your signal goes and all you have all your devices in one room, then the Talon AD7200 and 802.11ad will be able to give you some mind blowing super fast internet, still earning it a spot in our top wireless routers list for 2018. 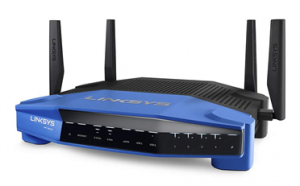 If you are willing to spend some money on a quality wireless router that delivers, then the Linksys WRT1900AC would be a great wireless router to spend it on. If you own the EA6900, you shouldn’t let that keep you from looking at the WRT1900AC as an option. The issues that plagued the EA6900 have been largely resolved in this model. It is one of the fastest Wi-Fi routers around. And it when it comes to network storage, it can surpass some of the most high-end dedicated NAS servers. With a 1.2Ghz ARM-based dual-core processor, and 128MB of flash storage the WRT1900AC is a strong contender when it comes to DD-WRT routers. 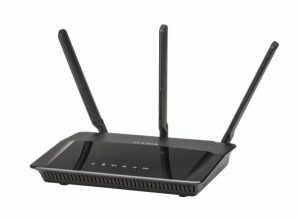 While it sports four antennas, it is still a three-stream router. You can expect speeds of up to 1300Mbps via the 5GHz band and up to 600 Mbps on the 2.4Ghz band. Typical to most wireless routers the WRTAC1900 has four Gigabit Lan ports and one Gigabit WAN (internet) port. It also provides one USB 3.0 port and an additional port that can work with a USB 2.0 or eSATA connection. These ports can be used to add additional storage devices. As another addition to the AC1900 line of wireless routers, it could be easy to overlook the D-Link DIR 880L. But that would be a mistake; the DIR-880L offers a balance between range and Wi-Fi speed that is impressive. With a consistent signal, this router provides the best of both worlds for users. One of the first square routers, the DIR 880L may seem odd to users familiar with the cylinder style routers they have become accustomed to. With the standard four Gigabit LAN ports and one Gigabit WAN port and a USB 2.0 and another USB 3.0 on the side, there is nothing special about the modems design. The USB ports can be used to add other options like additional storage, scanners or printers. The Web interface is also new, which may cause some confusion for previous D-Link customers. There is a short wizard that will help you get started, but it still may require a bit of time to become familiar with the set-up. The user manual isn’t as thorough as it should be. 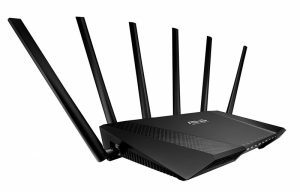 What makes this wireless router a bit better than some of the other 802.11ac routers can be found both in its design and its performance. The Asus RT-AC88U delivers both speed and range, which means you don’t have to choose which one is most important, you can have both in one stealthy package. Beyond just the Batman like appearance of the router, it is also packed with eight Gigabit LAN ports, and an easy to use Web interface that is smarter than the majority of routers. It also comes with a built-in VPN server, which allows you to create a separate and more secure connection that will help protect your network from hackers and malware attacks. The RT-AC88U also supports MU-MIMO, which makes it one of the most diverse and feature-rich routers you could buy. While it has a higher price than some of the other 802.11ac routers, what it brings to the table regarding speed, security, capability, and features make it more than worth the price. If you want what is considered to be one of the best wireless routers ever, it’s worth the investment. Keeping to the elegant and thoughtful design style of the Apple brand, the Apple AirPort Extreme is as impressive on the inside as it is on the outside. Its three-stream 802.11ac technology provides users with speeds that are three times faster than traditional routers (or base stations). It also doubles your channel bandwidth by providing 80MHZ-wide channels which increase the data transfer speeds. And no 802.11ac? No problem, AirPort will work to maximize connections to all of your 802.11a/b/g and 802.11n devices. It’s just that nice. By transmitting at both 2.4GHz and 5Ghz frequencies simultaneously, you will always connect to the best available band. The base station is equipped with an array of beamforming antennas that are smart enough to find all of your 802.11ac devices on the network. Which is impressive since I lose my car keys several times a week. AirPort Extreme wants to give you the WiFi that is clearer, stronger and the faster than fast. And it does it all this while still looking fantastic. If you are looking for a powerful Tri-Band Gigabit Wireless Router, you have found one. Hyped as the best home router Netgear has ever launched, it has had a few struggles since the initial launch. However, it is still a reliable router with a lot of with a lot of awesome qualities, it has a new sleek modern design, and it can legitimately boast about having a total Wi-Fi bandwidth of up to 3200Mbps. With six antennas it excels when it comes to range, it also has a user-friendly web interface. It also has some pluses on the setup side, it can be configured manually, and the router can serve as an access point. Easy to customize, you can give each of the three operational bands each with its own name. You can also adjust the speed and security settings. The R8000 can be a little pricey for users who just want a fast connection. While it is packed with some intriguing and thoughtful features, it doesn’t surpass the performance of any of the other AC1900 wireless routers. If you are looking for fast WiFi, there are several less expensive routers with great features on the market that are comparable to this wireless router. 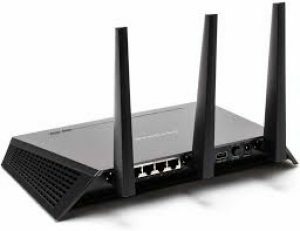 The D-Link AC3200 Ultra WiFi DIR 890L looks like a race car, and a spaceship had a baby. But this baby has the muscle to match its beautiful face. 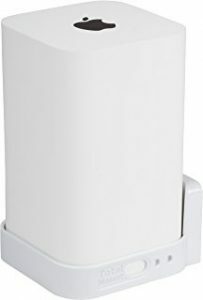 This wireless router provides a stable, fast WiFI signal and is super easy to set-up and use. But stylish and smart comes with a cost. The hefty price tag of $250-$310, can make you wonder if the D-Link AC3200 worth the money? It could be if you are looking for a fast, reliable wireless router with some serious range. Powered by a Broadcom dual-core 1GHz processor, it has the customary number of LAN ports, four Gigabit LAN ports, and one Gigabit WAN port. With two additional USB ports that you can use to connect additional hardware like printers and other storage devices. A tri-band router the DIR-890 comes equipped with three built-in access point. A 2.4Ghz AP that provides support to 2.4Ghz 802.11 WiFi clients which taps out at 600Mbps, and two 5ghz APs that provide support to 5GHz 802.11ac WiFi clients that cap out at 1300Mbps individually. If you could combine them, the total bandwidth would be 3200Mbps. But clients can only connect to one band at a time, which results in the highest attainable speed being 1300Mbps. With more and smarter devices coming to the market, finding a way to keep everything connected is, at times, a challenge. Gone are the days where you need a router to connect your PC to the internet, today we are connecting everything from smartphones to kitchen appliances. We demand a lot from our WiFi network, that is why finding the best router for your home should be a priority. If you know your router better than you know your children, you can probably skip this section. If not, here are some things you should know about routers and the way they work. We all have different needs when it comes to routers if you are a gamer you need consistent streaming and speed. If you are a small business owner you may not have the same demands for speed and consistency, but you may need a way to connect external data storage devices. One thing is certain, before you buy a router, you should know what you need it to do. There are few things you should research before making a purchase; you need to know how many devices you will need to connect to the router, how much time you spend on those devices, and what additional features you would like, or need. You also need to know how Wi-Fi routers work; this will help you buy a router that meets all of your home and business needs. 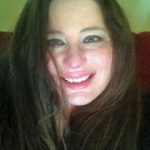 When you are adding a device to your wireless router, you aren’t connecting that device directly to the internet. Routers serve as a device and connection manager. 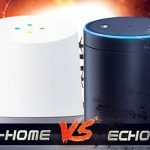 You can even have devices connected to the router that can communicate with each other without an internet connection. The router connects to the internet using an Ethernet connection, from there it can connect your devices to the internet. 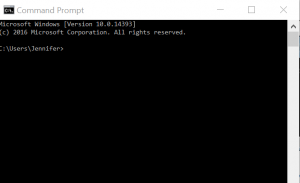 You have two ways to connect to the internet via your router, you can plug an Ethernet cable into the router for direct contact, or you can use the Wi-Fi provided by the router. Most of us rely on the routers provided by our cable or internet providers (isp). And often those are acceptable options for household use, but if you need more speed or you want less lag buying a more advanced router is a good idea. If you are thinking “I didn’t know my Wi-Fi had standards,” you aren’t alone. Most of us just log in and use our Wi-Fi. We may complain when we have three bars instead of five but we don’t take the time to know why. An organization called the Wi-Fi Alliance thinks a lot more about Wi-Fi than most of us do. This trade association works to provide a common standard for wireless internet connectivity. These wireless standards have been around for a while, by understanding the standards you can make an informed decision when you are choosing your router. This is the grandfather of Wi-Fi standards; what once delivered some superfast connection speeds for its time is now defunct. This network does not support any device made before 1999. Designed to work on the 5 GHz band this standard formed in 1999 had a mission to reduce the amount of interference. 802.11a is quick, it can reach data rates of 54 Mbps before tapping out but it suffers from range issues. It underperforms when devices are in the way of the signal path. This standard uses the more popular 2.4GHz band and can achieve speeds of up to 11Mbps. Rolled out in 1999 it is considered the standard that began the growth of Wi-Fi. While 802.11b started the Wi-Fi phenomenon, the 802.11g made it faster in 2003. Able to achieve speeds of up to 54 Mbps using the more consistent 2.4Ghz band. This standard is still in use today, and if you are looking for a reliable connection that can provide acceptable speeds, this one will suffice. Routers are also cheaper with this standard. The 802.11n has been the standard for a while now. Created in 1999 it is now the most common standard and is used on the majority of routers. It operates on both 2.4Ghz and 5Ghz networks and can support usage on multiple channels. This standard uses the 60Ghz spectrum and not the traditional 2.4Ghz or 5GHz options. It is built for speed, and it delivers. With a theoretical speed that can reach up to 7Gbps it gets your attention. However, what you get in speed, you lose in range. This is a one room wonder. The 802.11ad cannot penetrate walls, so if you only use the internet in one room you will be able to enjoy some super fast internet, if you use it in more than one room, it’s a non-starter. The newest standard is the 802.11ac; it’s designed to deliver a high level of multi-user throughput to make your Wi-Fi experience better. Known by its nickname, 5G Wi-Fi, it is crazy fast, and it provides range, which makes it an improvement on the 802.11ad standard. With speeds up to 1.3Gbps (yep, gigabits people!) it is faster than most of us need, but fast enough to give us what we want. It will make streaming and gaming better by reducing lag and slow response times. You may be thinking, this history of Wi-Fi standards is interesting, but how does it help me buy a router. The reason is compatibility; you are probably looking at the 802.11ac and seeing yourself streaming movies while playing Grand Theft Auto. And that could be the reality. However Wi-Fi standards only work if the devices used are compatible with the standard. So, if you buy a new 802.11ac router and your laptop is still living the dream in 802.11n, you will only recognize the speeds of 802.11n. 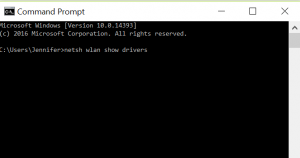 Enter netsh WLAN show drivers in the Command prompt and press Enter. Knowing router standards will help you when trying to determine which type of router you need. But Wi-Fi standards are just the beginning. Before you shell out too much dough you need to know what types of routers are out there and what they can do for you. Single-band routers can only connect on the 2.4Ghz band, with just three non-overlapping channels these routers are susceptible to interference from other connected devices. Everything from your microwave oven to your TV can cause interference. The result of this interference will be slow response times and lag. If you are connected to your smartphone or laptop 24/7, a single-band router is not for you. If you just want to upload pictures of your grandkids, you could probably get by with a single-band option. Dual-band routers offer, wait for it, two different bands and can operate using two different signals, the 2.4 GHz band, and the 5GHz band. A simultaneous dual-band router will operate on both 2.4GHz and 5GHz signals at the same time. This means your older devices that use the 2.4GHz signal can access what they need, while your newer devices can get what they need on the 5Ghz channel. If two bands are good, then three must be better, right? Maybe, but maybe not. True to their name Tri-Band routers can host three unique Wi-Fi networks at one time. One at 2.4Ghz and two at 5Ghz, so why not just use a dual-band given the signals are the same? It depends on how many devices you connect, or want to connect. Devices cause congestion, which can slow your network down. Having a second 5GHz signal allows a tri-band router to move devices into different networks, which in turn reduces lag and increases the Wi-Fi speed. This means you can stream movies in one room while your kids play games in another with minimal lag. While it helps make Wi-Fi speed faster, it won’t speed up the device itself as the device is connected to just one band. It is important to remember that the device dictates the speed. Which means you will probably never see the “theoretical” speed promised on the box. But a tri-band router will be able to get more Wi-Fi speed to the network, which is a plus if you have a small business or a family that cannot put their smartphones down. N600 routers are one of the first pure dual-band routers around. They can provide 300Mbps Wi-Fi speed simultaneously on its two frequency bands. Based on the 802.11n standard N600 uses the Wireless N standard with a combined bandwidth of 600Mbps. It is easy to be wowed by the speed of the 802.11ac standard, but the 802.11n can still get most of the jobs done. The reality of Wi-Fi speeds is that a lot of them don’t need a super fast speed, most of our devices will work just fine using just 140Mbps. The N600 does a good job with day to day use, even with HD media streaming. The signal doesn’t carry, so if you are looking for a Wi-Fi solution that will carry in every room, it may not be the best option. If you are looking for something faster that is still economical, the dual-band N900 offers 450Mbps on both bands and has better range than the N600. How can I boost the range of my wireless router? You should start by looking for sources that will interfere with your signal, these can include baby monitors, microwave ovens, and even your television remote. Keeping your router’s firmware up to date can also improve performance. Where should I put my wireless router? While you may want to hide the router in a cabinet or on a shelf that may not be the best idea. Wireless routers need space, and the more you can keep it away from walls or other things that can interfere with the signal the better. Elevating the router and making sure the antennas are extended will give you a stronger signal. Someone told me not to use the 2.4Ghz band, is something wrong with it? The 2.4Ghz band is the one most used for wireless devices. So it’s busy and crowded. On the other and the 5Ghz band is far less crowded, which means less lag and faster speeds. While you cannot do much about your 2.4Ghz devices, you can reduce the clutter by connecting any devices you can directly to the router using the tried and true Ethernet cable. Will using an 802.11ac router increase speed for all of my non 802.11ac devices? Honestly, no. While it can boost overall performance, you can only realize the full speed of 802.11ac by connecting to a compatible device. If you don’t have compatible device waiting a year, or maybe two might be a good idea. How can I keep my router safe? Using data encryption, which only lets authorized users is a start, it will protect your network and keep unwelcome guests out. The good news is that with the addition of 802.11ac provides us with internet speeds that are faster, like way faster, than anything we have seen before. It also standardizes beamforming which increases throughput, building more consistency and reducing energy use. Faster WiFi is here, but the downside is not everyone will get to enjoy these new superfast speeds. 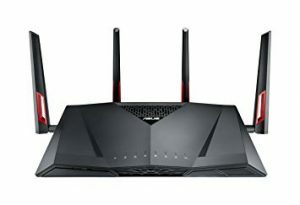 It requires an 802.11ac wireless router (see ALL of the above routers), but it also needs the device connected to the wireless router also to be 802.11ac to benefit from the blistering WiFi speeds. 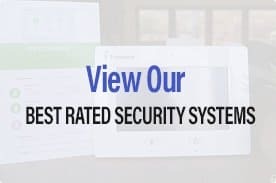 HomeSecurityLIst is a participant in the Amazon Services LLC Associates Program, and we may receive commission on purchases made through our links.